There is a new entry to the Indian tablet scene in the form of the iBerry Auxus. The tablet was first announced in February and was slated for a launch in March, though has finally entered the market in June. 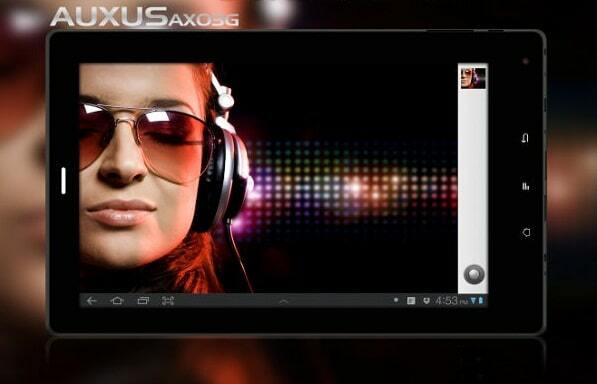 The Auxus AX03G comes pre-loaded with the latest Android Ice Cream Sandwich and is 3G enabled. The most interesting feature of the tablet is its 24 GB internal memory, which can prove handy in storing multimedia rich content. The tablet is also Wi-Fi and Bluetooth enabled and is powered by a 1 GHz dual core ARM Cortex A8 processor. System memory stands at 1 GB with a dedicated graphics chip also included that endows the tablet with better graphics processing capabilities. As for ports, the AX03G comes with a mini USB and an HDMI slots. “We are sure this product would create a big market impact in the budget tablet category and we are proud to be part of the process of setting a new benchmark in the Tablet market. The launch and its subsequent delivery will happen in the 1st week of July. By then, the price of Auxus AX02 will be dropped to Rs 7990,” said a spokesman for the Chennai based company iBerry. On the flip side, the AX03G packs in a rather disappointing 800 x 480 pixel within its 7 inch capacitive multi touch display. While this can’t be expected to render the best of images, the tablet can still score as a decent e-book reader among other things. A 2 and 0.3 megapixel camera along the front and the back, along with a 4000 mAh battery, pretty much rounds off the spec sheet and makes for a decent tablet in the sub 10K tablet in India. I want to know whether this tablet will be able to show PowerPoint presentations? Can this e connected to a Projector? nw hw u feeling Abbas???? Don’t waste the money by buying a product like Iberry, if there is any technical problem in Tab, it will not be able to fix by their technical team. They will charge even in the warranty for the unresolved issue. Buying an Iberry product you must think that you have lost the money in share market.